Has a high filtration area over other filters. As a renowned firm, we are engaged in offering an extensive range of Aqua Pleated Filter to meet the demands of our clients. Our products are technically accurate and are compact in design. These products are well known for their attributes such as high tensile strength, durability and high efficiency. - Provide broad chemical compatibility. 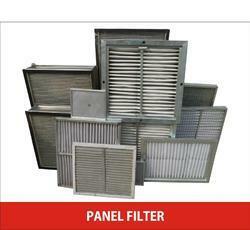 Our firm is instrumental in giving a wide range of HEPA Panel Filter. Our team use updated technology and perfect material to process these. The offered HEPA Panel Filter are given in numerous dimensions with smooth finishing which suits the customer’s needs precisely. We manufacture and supply a wide range of Industrial Pleated Filter. 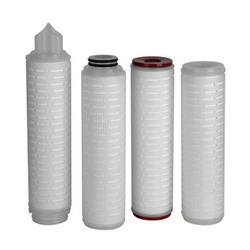 These are manufactured by high grade of raw material in order to increase the durability of the filter. The filter medium is adjusted to the application in order to provide ­optimum performance in filtration. We introduce our business as a notable entity of a qualitative array of Pleated Sediment Filters. Length: 10"-15", 20"-25", 0-5", >25", 5"-10", 15"-20"